Gerald Padmore is an attorney with Cox Padmore Skolnik & Shakarchy (Denver, Colorado, USA), whose practice involves natural resources law, international business transactions and commercial litigation. He was born in Liberia and moved to the United States in 1956. 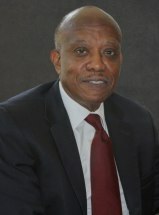 After completing Yale University in 1967 and Harvard Law School in 1970, he returned to Liberia where he taught at the University of Liberia Law School and served as Liberia's Acting Minister of Finance, Deputy Minister of Finance and Assistant Minister of Foreign Affairs before moving to Denver in 1980. He has written and lectured on legal topics relating to natural resources law, mineral development and taxation, political risk, dispute resolution and concession and investment agreements in African and other developing countries. His work has involved transactions in several African countries including Benin, Burkina Faso, Cote d'Ivoire, Gabon, Ghana, Guinea, Ethiopia, Equatorial Guinea, Kenya, Liberia, Nigeria, Sierra Leone, South Africa, Tanzania and the Democratic Republic of Congo (formerly Zaire), as well as in Ecuador, China, Japan, and other countries. Mr. Padmore has negotiated international mineral and other agreements both as counsel to governments and as counsel to private investors. He was selected (jointly with a Canadian law firm) to implement a World Bank project designed to improve the mineral, fiscal, environmental and related laws of the Republic of Guinea so as to enhance new mineral investments in that country. He also advised the government of Guinea on aspects of its mineral agreements with foreign investors, and the Government of Kenya through a U.N. project on revising its mining law. His practice also involves complex commercial and business litigation in United States state and federal courts. He has successfully represented claimants against a major international insurance firm that involved proceedings both in the United States and in Europe, and defendants in securities class action or other alleged fraud cases in which he obtained either dismissals or favorable settlements. Mr. Padmore is listed in Naifeh and Smith's The Best Lawyers in America, 1997-1998 and 1999-2000, in Martindale-Hubbell's Bar Register of Preeminent Lawyers, and in The International Who's Who of Mining Lawyers published by Law Business Research Ltd. of London, England. The Governor of Colorado, with the advice and consent of the Colorado Senate, appointed him to the Colorado Transportation Commission on which he served from 1990 through 1997, and as its Chairman in 1996 and 1997. He also served as Chairman of the Webb-Waring Institute for Biomedical Research in Denver from 1994-1996. He is currently Chairman of the Denver World Trade Center Institute, a director of the Denver World Trade Center Association, a trustee of the Social Science Foundation of the University of Denver, and a Director and Vice President of the Denver Council on Foreign Relations.